إن فندق Insel Fehmarn Hotel بموقعه الممتاز في هذه المنطقة السياحية هو نقطة انطلاق جيدة لنزهاتك في هذه المدينة المذهلة. يمكن من هنا للضيوف الاستمتاع بسهولة الوصول إلى كل ما تقدمه هذه المدينة النابضة بالحياة. سوف يعشق النزلاء موقع هذا الفندق، فهو قريب من أهم المعالم السياحية في المدينة . إن الخدمات الممتازة وحسن الضيافة العالي في Insel Fehmarn Hotel تجعل إقامتك تجربة لا تنسى. لضمان راحة ضيوفه، يقدم الفندق الخدمات التالية: متجر, خدمة التنظيف يوميًا, متجر هدايا/تذكارات, تأجير واي فاي محمول, خدمة سيارات الأجرة . ادخل إلى واحدة من الغرف 54 وتخلص من عناء نهار طويل بمساعدة مجموعة كبيرة من الخدمات كمثل مكيف هواء, شرفة/ تراس, تليفون, مروحة, تلفزيون الموجودة في بعض الغرف. يمكنك طلب اللائحة الكاملة للخدمات في الفندق ومن بينها حمام سباحة خارجي, ملعب تنس. إن Insel Fehmarn Hotel هو مكان مثالي للمسافرين الذين يتطلعون إلى الراحة والاستجمام في المدينة. Laundry was overpriced. Only had one load and was charged over $70 tala. However i choose insel because of room size and facilities as well as breakfast. Its still the best accommodation each time i go samoa. No shuttle service or wifi in public areas as advertised on your website. This needs addressing before more clients are mislead. 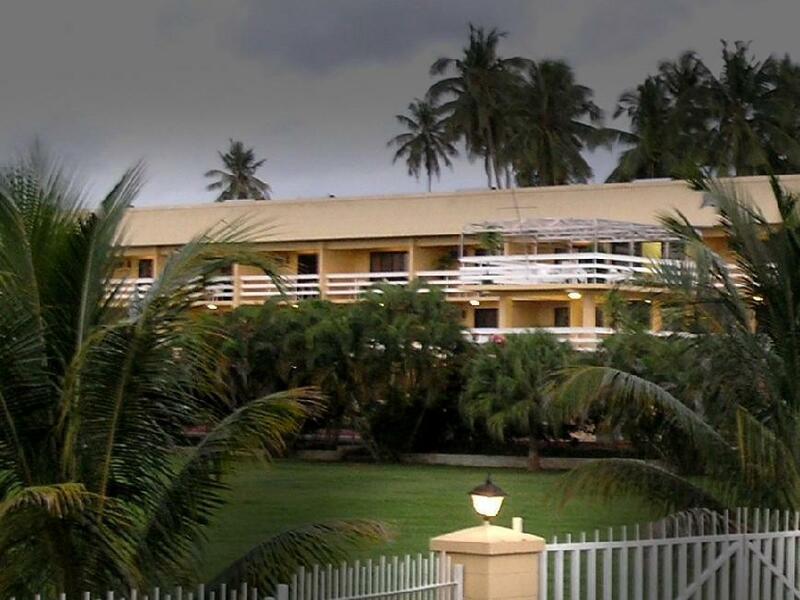 I stayed at this hotel the last time I visited Samoa. The rooms are being gradually renovated. The room I stayed in on the 3rd floor was new, after returning from Savaii I stayed in an older room on the 2nd floor. The staff still have that typical Samoan Friendliness, and make you feel welcome. Conveniently located on the Cross Island Road, a five minute drive from Apia. A taxi into town costs 5 Tala, about $ 2.20. Ask for the free airport shuttle to the hotel, as the international airport is about an hours drive from Apia and costs over $30 by taxi. The dining room and pool area were never crowded. This is a good choice for a budget hotel with air-condtioned rooms. Friendly helpful staff. Clean. Great location. Food buffet had flies in the food service area, food was ok. Bathroomwas small and a bit dated, the room felt comfy but a little less room for a little more bathroom would have been acceptable. Remote didnt work, even after the staff came to the room to attempt a fix. The room could use a mini-bar with cold drinks given the warm weather year round. Just a thought. Otherwise it was a bit overpriced for its value. 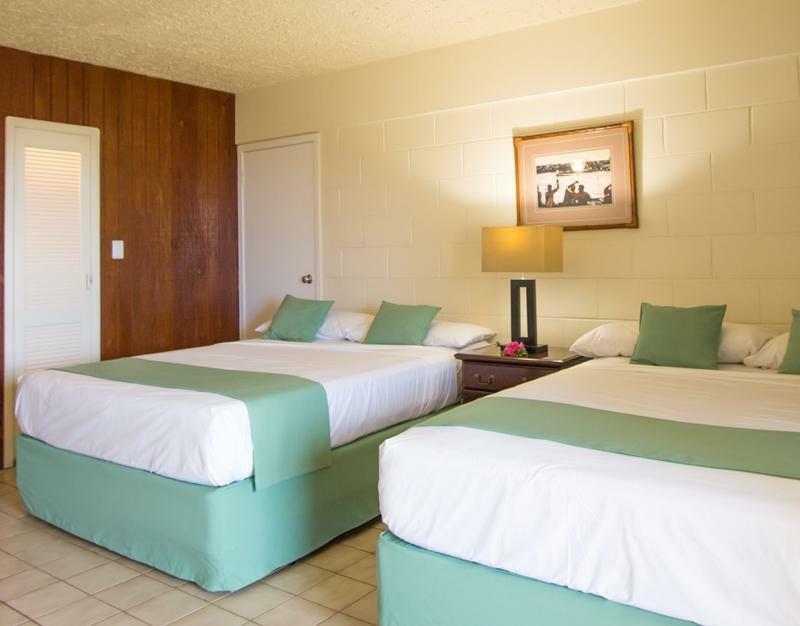 Very clean rooms, excellent service and great location. We are a family of five who stay at Insell for four nights. We arrives at the hotel at 10pm and we're all tired and the check in was fast and very friendly staff. The rooms x2 were big and clean, great location and breakfast was nice. Will recommend to anybody and we will stay here again. Our stay at the hotel was ok, although the reception area at the hotel needs to be extended, there is not enough room to move around especially when this area is full of other guests. We found the room was very old, there were ants everywhere from the bathroom to the kitchen, on the benches and floor. 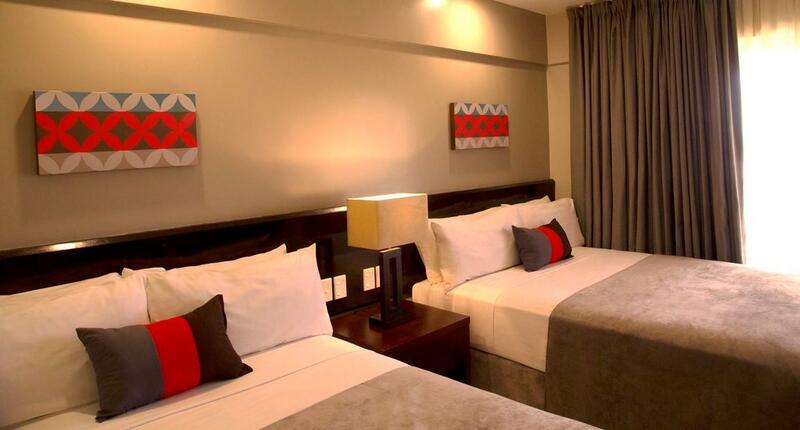 The beds were very uncomfortable, sheets were not very clean, they need new towels. The bathroom floor was always flooded because there is no extra drainage and the toilet was always block they need to replace/upgrade the toilets. The toilet paper they provided were very cheap, only 1 ply. There was no bottle of water or milk in fridge on our arrival and we always had to ask for more sugar when making coffee. The whole place needs renovation, fresh paint and pest/insects treatment is a must. Size of room, air con plus fan and relatively mosquito proof. 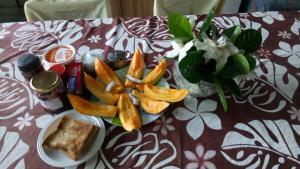 This was a good base for our stay in Apia. The pizza place opposite ( I know seems strange to have pizza in Samoa) was really excellent. Round the pool needs a bit of work- tables topple and very loud music but we were out and about anyway. Service was pretty good as was breakfast. Bearing in mind limited options in town and the general standard of accommodation in the country- basic open beach falles are the norm - this was a good option for a comfortable nights sleep to get our bearings before setting out to tour the island. On the way back we stayed at the Samoan Outrigger just down the street and we preferred its more traditional style and character although not nearly such a comfortable nights sleep as it had no air conditioning. Good sized room, air conditioned hotel, a little run down. Outside the centre of town, but an inexpensive taxi ride into town centre. I personally would not stay here again. The receptionist English wasn’t that great. We had to check out before breakfast & was told basically we miss out. A chef was there and said we can get food delivered to the room tonight to have in the morning, receptionist didn’t even know the correct breakfast times. We asked regarding a hotel doing fire dancing Friday nights was told it isn’t on and there gift shop would be closed at 5pm. A waitress was there talking to her and asked her to ring the other hotel as they have items for sale in their reception she rang and they did. Got to the other hotel who told us the fire dancing was at 7pm so of course we missed out. Asked for a wake up call at 4.30am was woken up at 3.30am I asked to ring back at 4.30am they rang at 4.45am – mind you I had to leave for my plane at 5am. I had a fantastic stay, very relaxing, friendly staff, lovely pool area, evening entertainment, great breakfast buffett. Das Hotel ist insgesamt durch seine Bauweise in Form eines langen Schlauches in drei Stockwerken aesthetisch nicht sehr ansprechend, aber die Zimmer sind gross: man schläft ruhig, das Restaurant ist durchaus gehoben in der Qualität. Das Personal - besonders die Damen ! - ist überaus freundlich und zuvorkommend.